Here's one sleek opportunity for you and everyone around you to Get a Professional and Free Top Class CERTIFICATE training in Events, Projects, Brands management and Modelling. Note: for you to partake in LMC you must have first completed BMC. 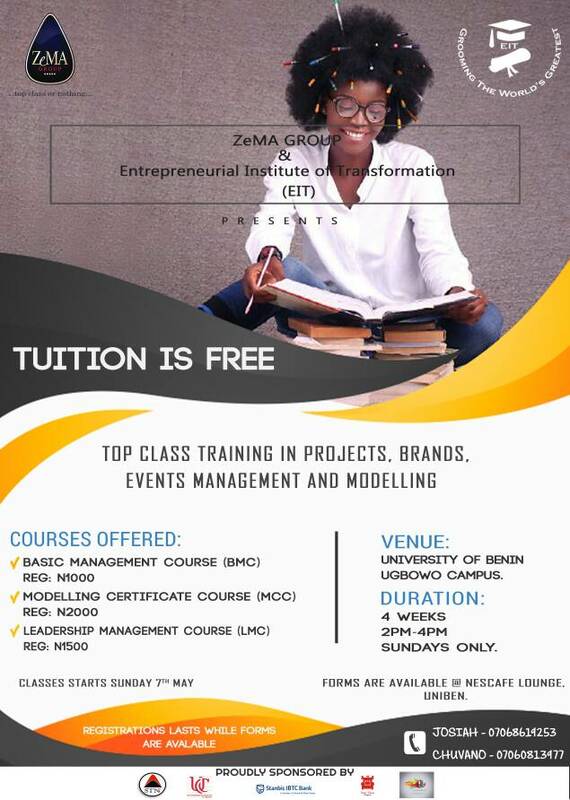 Supported by: Stanbic IBTC, STNi, TRC, Sontaire Reigns, UnibenGist and others.